A pipe flange looks like a disc or collar to used for the flange joint in of a piping connection.It cound be used to connect pipes,fittings,valves,pumps and other equipment to form a piping system.The two flanges are fastened by bolts and nuts in a flange joint,which means it is easy to disassemble for inspection or cleaning.Flange is commonly welded or threaded to connect the pipe in a piping system with a gasket for seal between two flanges.Hebei Haihao Group established the first flange factory in Hebei Province,now we are a leading flange manufacturer and supplier in China.Contact us for more information about steel flange products. As per the shape and connection methods of flanges,the flanges are divided into following types: Weld neck flange, Blind flange, Slip on flange, Socket weld flange, Threaded flange, Lap joint flange, Orifice flange, spectacle blind, long weld neck flange, Flange-olet, reducing flange, Rolled-Forging Ring Flanges, Anchor Flanges, Tube-sheet etc. 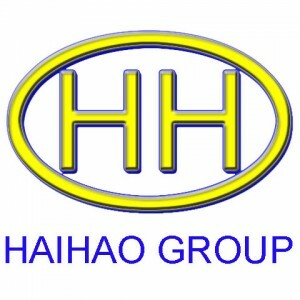 The flanges can be manufactured from various materials , such steel , cast iron ,brass, Ni, Ti and other materials, Hebei Haihao flange factory mainly produce the steel materials flanges, like carbon steel ,stainless steel ,alloy steel and duplex steel materials in forging condition. As per different standard , the material may have different codes , the chemical composition and mechanical properties are different. In ASTM, DIN, BS, EN , JIS ,AS , GB, GOST standard flanges , they all have their own material request, when arrange the production, the raw material should be confirmed first . The dimensions of flanges includes many referenced data, flange thickness, OD, ID, PCD, bolt hole, hub height, hub thickness, sealing face. So it is necessary to confirm the flange dimensions before confirming a flange order . According to different application and standard, the dimensions are different . If the flanges will be used in a ASME standard piping system, the flanges usually are ASME B16.5 or B16.47 standard flanges, not EN 1092 standard flanges. 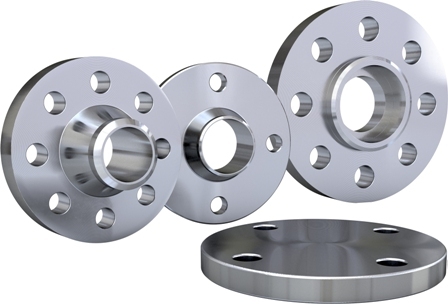 So if you place a order to a flange manufacturer , you should specify the Flange dimensions standard and material standard . In a typical flange joint, there are two flanges, sealing gasket, bolts , nuts ,spacers. Every flange is welded or screwed to a pipe(the blind flange is used in the end of the piping system), then the two flanges are joint by the bolts. It can make sure the flange joints assembly easily. When the flanges are fastened by bolts, usually a gasket is laid between the two flanges, it can make sure the joint has a good sealing . In different application , the gasket and sealing face of flanges are different. The most common flange sealing face is Rise face(RF) ,there are also flat face(FF), ring type joint (RTJ) etc . The flange face have different finishings, such as: Stock finishing, Spiral serrated finishing, concentric serrated finishing, smooth finishing etc. The gaskets in a flange joint also have various type and material, the most common used gasket is Spiral wound gasket, the material could be carbon steel, alloy steel, graphite and so on, there are also gasket ring , which are used between RTJ face flanges for high pressure application.